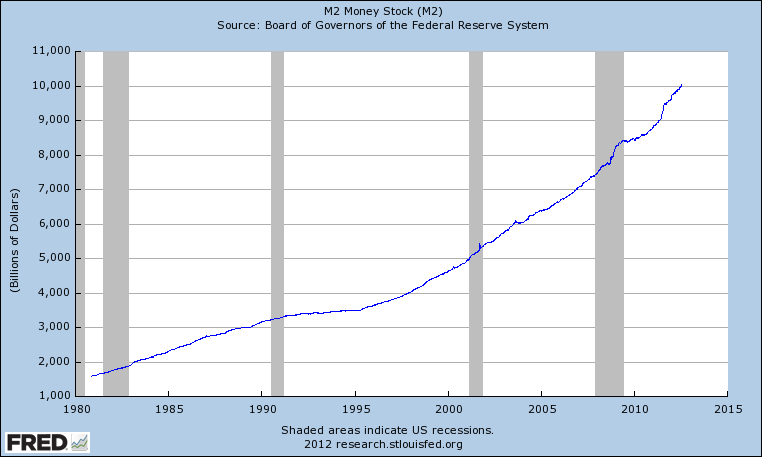 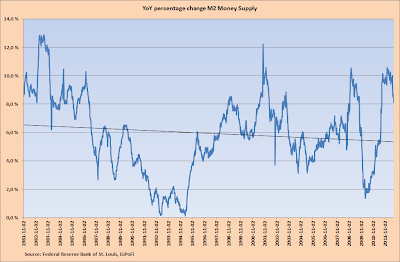 The M2 Money Supply reported by the Federal Reserve Bank of St. Louis, USA on 03.08.2012, increased by 8.1% year-on-year (YoY) for the week ending 23 July 2012 to USD 10,029.9 billion. 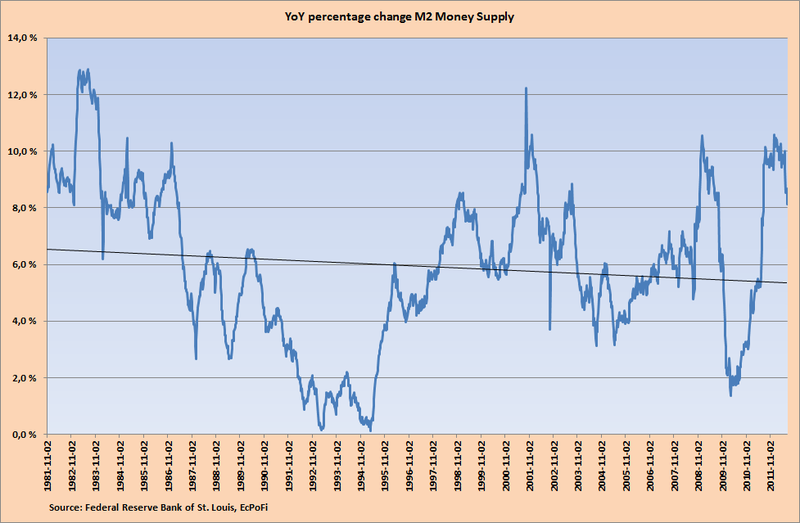 In a historical perspective based on data going back to 1980, the current YoY percentage increase in money supply is high. 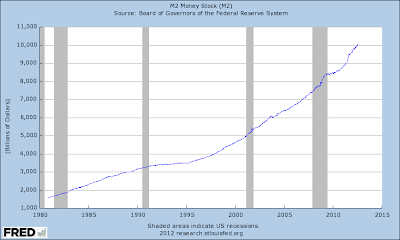 The average YoY percentage increase since 1980 is 5.9%. 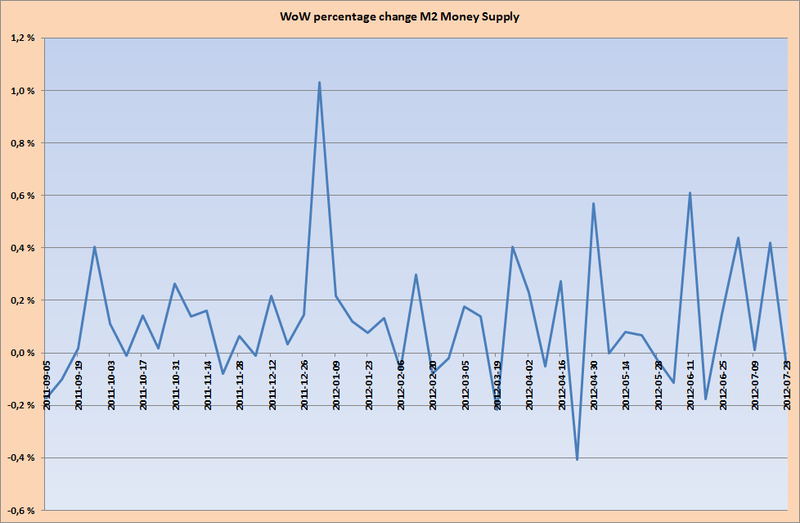 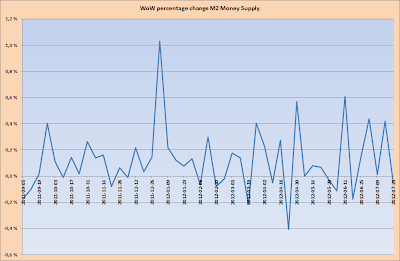 On a weekly basis, money supply was down 0.1% on last week.